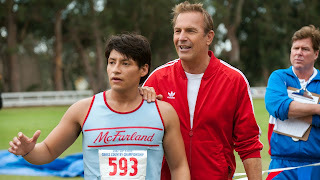 A feel-good sports drama, McFarland (also known as McFarland, USA) delivers exactly what it promises, and does so with a glossy professionalism. Jim White (Kevin Costner) is a high school football coach with a chequered history of ill-conceived temper tantrums. He accepts a last-chance job as the physical education teacher in the nowheresville town of McFarland, California. 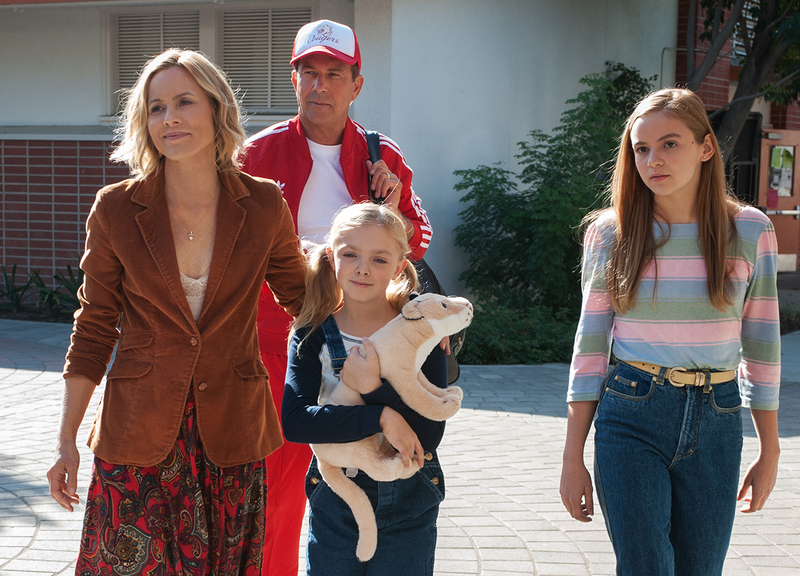 His wife Cheryl (Maria Bello) and two daughters are none too pleased to be relocated into what appears to be an unwelcoming foreign culture. The McFarland school's population largely consists of Hispanic kids whose main priority is helping their parents harvest the surrounding agriculture fields. School is very much an afterthought. White is quickly jettisoned from the football team's coaching staff, but notices that some of the kids are phenomenal long distance runners, as they regularly traverse the large distances between the school and the harvest fields. He assembles a rag tag team of seven students, including Thomas Valles (Carlos Pratts) and the three Diaz brothers, into a long distance running squad and they start entering local meets. Under White's guidance the boys train hard, get better and start to achieve good results. Meanwhile, Jim and Cheryl are gradually drawn into the local fabric of the community. A Disney Pictures production based on true events and directed by Niki Caro, McFarland is a simple story of one man finding his purpose in life in the unlikeliest of communities. Although filled with a healthy dose of the White Savior narrative, McFarland is an irresistible tale of a group of underdogs lifting themselves up to previously unthinkable heights. The film is largely predictable and devoid of standout moments. Caro keeps the tone even and the pace consistent as White travels along his arc from reluctant outsider to local hero. The scenes of cross country running are delivered effectively despite their simplicity, Caro focusing on White's nervous anxiety at the finish lines as his boys push themselves towards over-achievement and work their way past rivals. The local colour and warmth comes through in the many scenes of White gradually getting accepted into the community. He experiences the back-breaking agony of what it means to be a field worker, and the hospitality of local families at meal time. The home life of the Diaz brothers and especially Thomas Valles is the lens through which Caro presents inter-familial social tensions and the struggle to make a living that stands in the way of commitment to school and sports. Kevin Costner delivers a mature performance as Jim White, maintaining level-headed pragmatism and avoiding most cinematic sports coach cliches. McFarland is a worthwhile if not groundbreaking story of human achievement told with heart, a linear run through the real field of dreams.